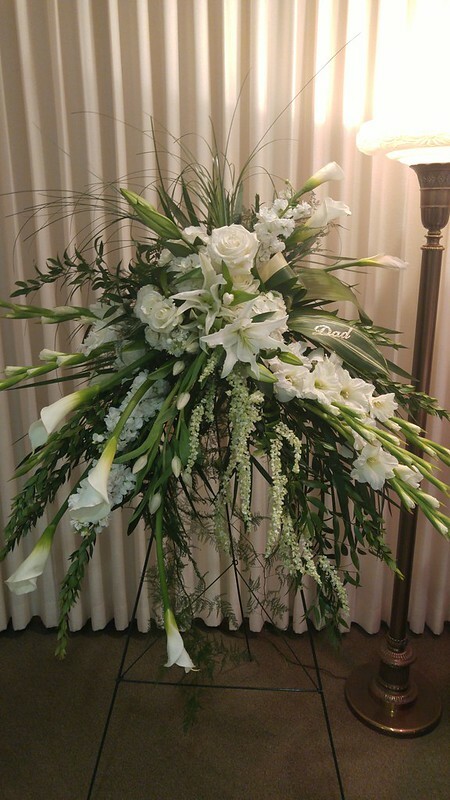 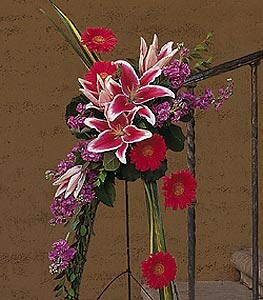 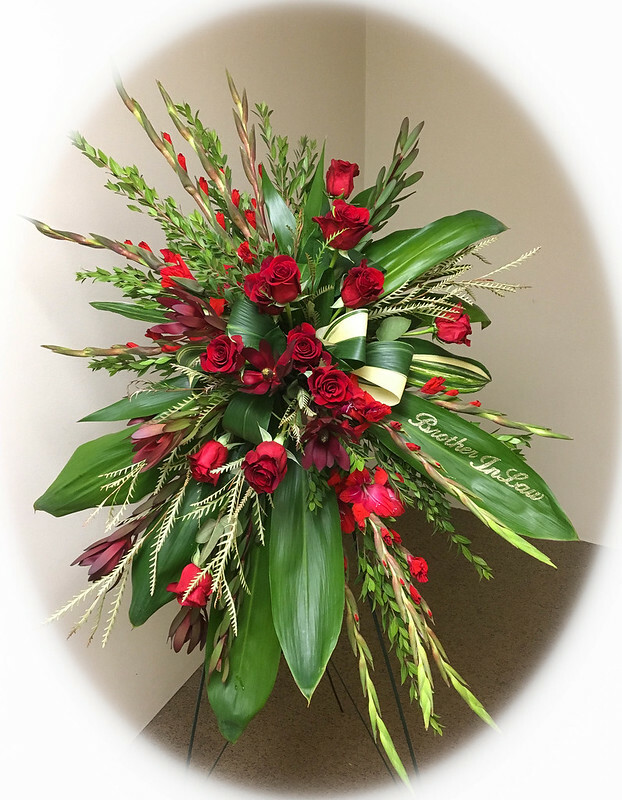 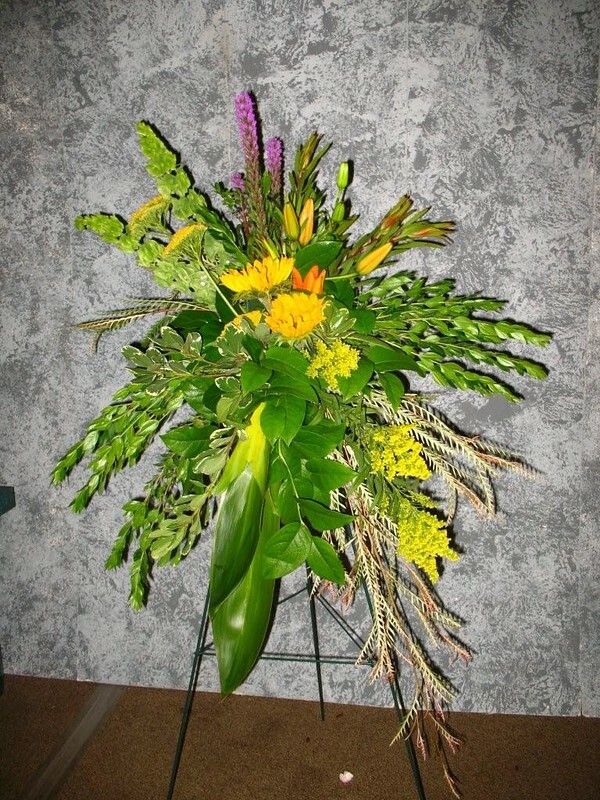 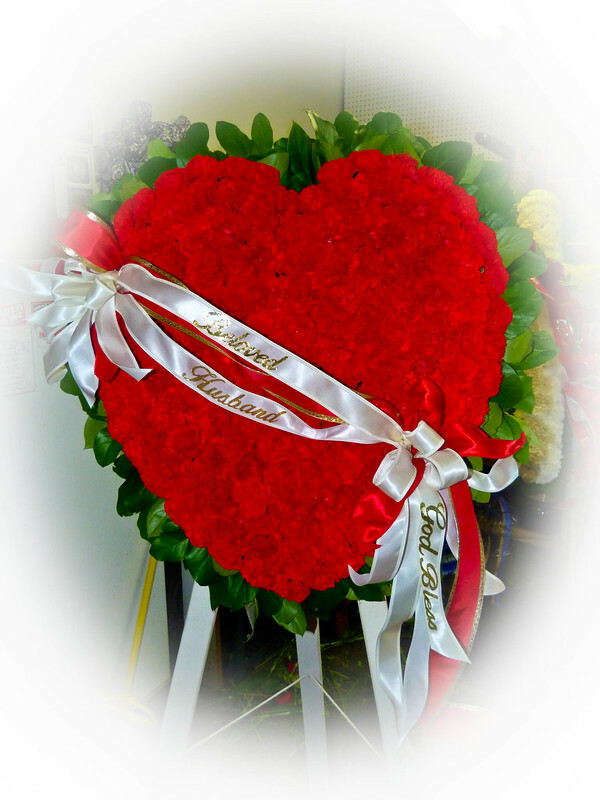 A vast selection of Easel Sprays and Funeral Flowers are available to express your sympathy at Floral Expressions. 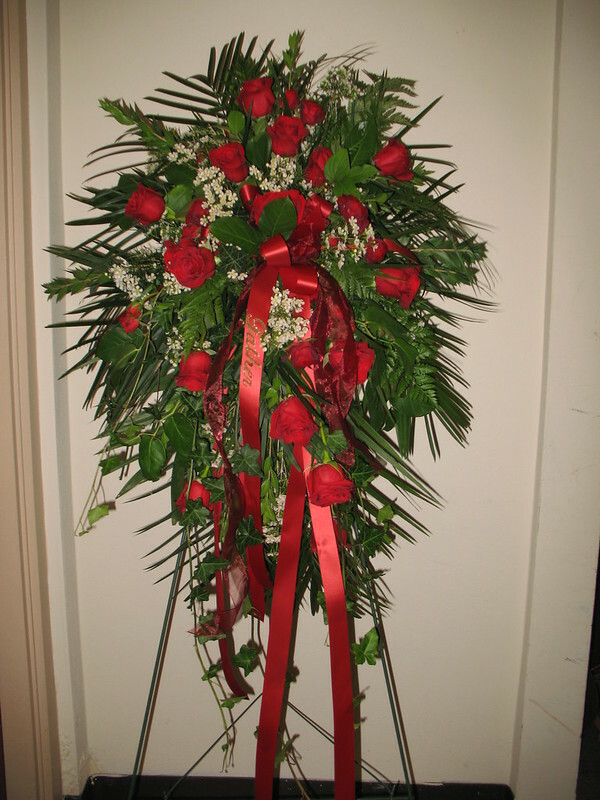 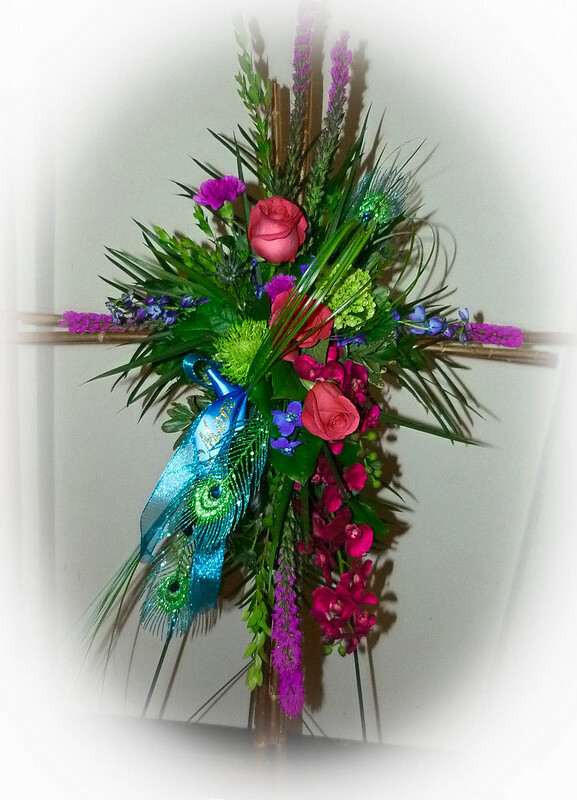 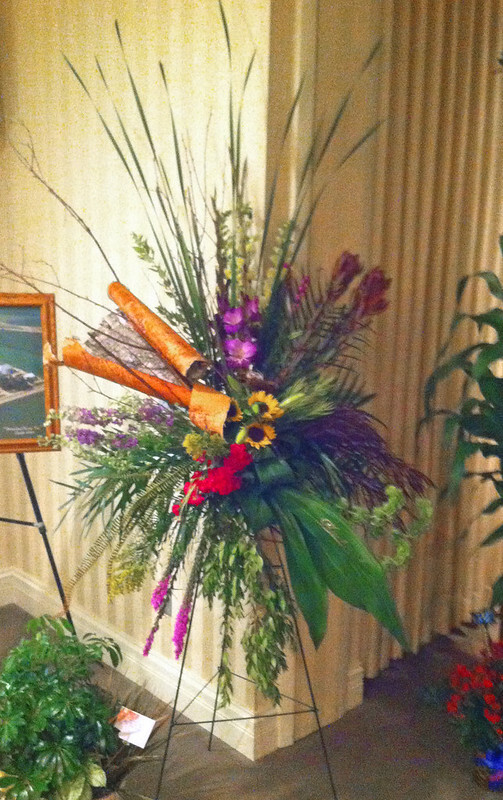 An Easel Spray is a floral arrangement placed on a free standing easel and usually displayed at the front of the service near the casket. 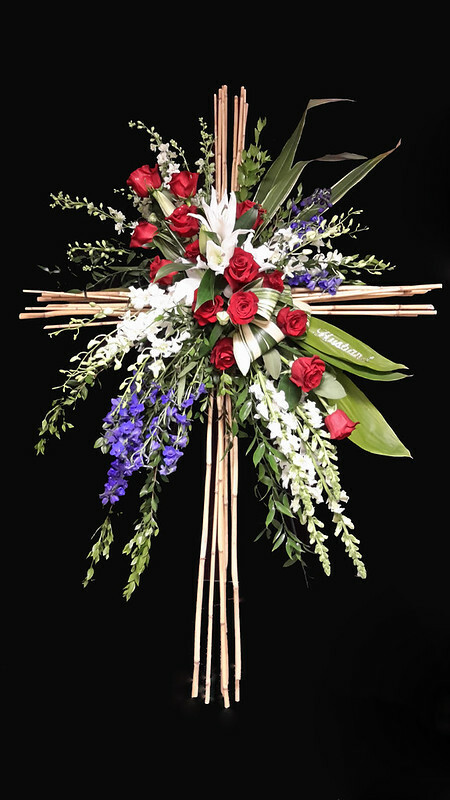 There are many different floral designs available to choose from when ordering an Easel Spray, including hearts, wreaths, and crosses. 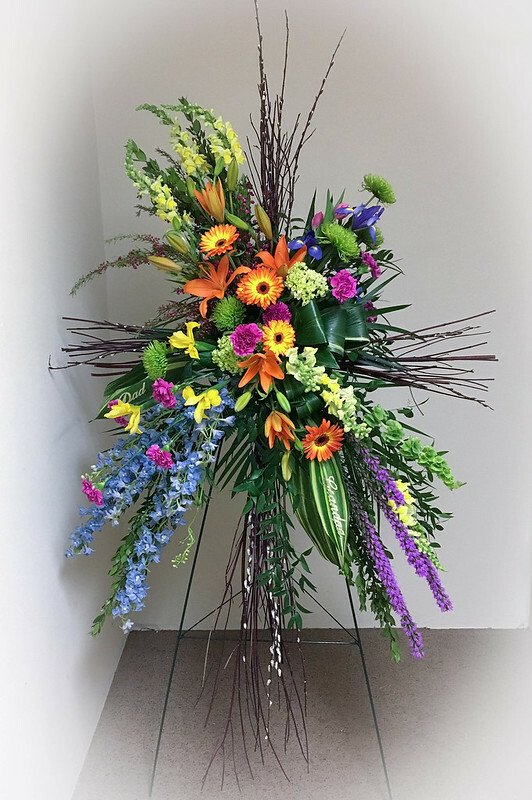 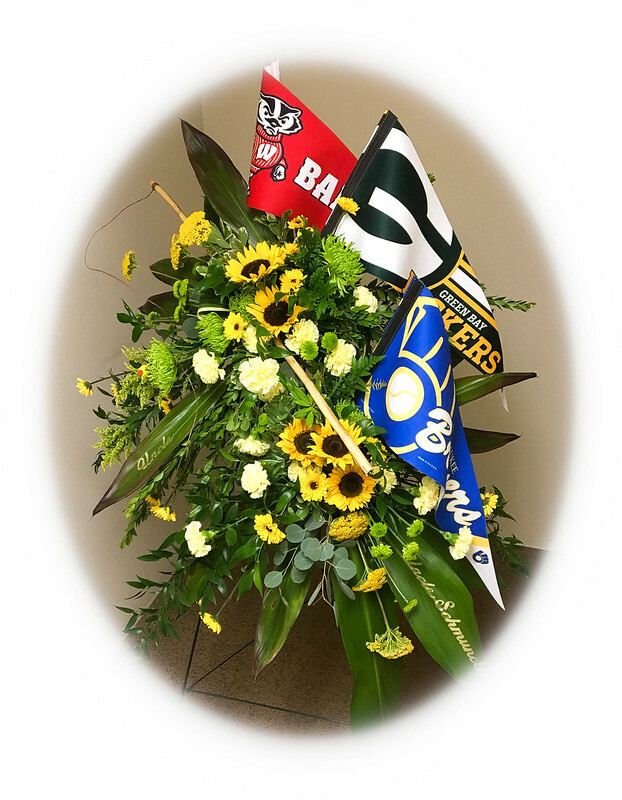 We are happy to design a spray for you with a special sentiment that represents a meaningful tribute in memory of their life, whether it be sports, a hobby, gardening or nature, we can help you express your ideas. 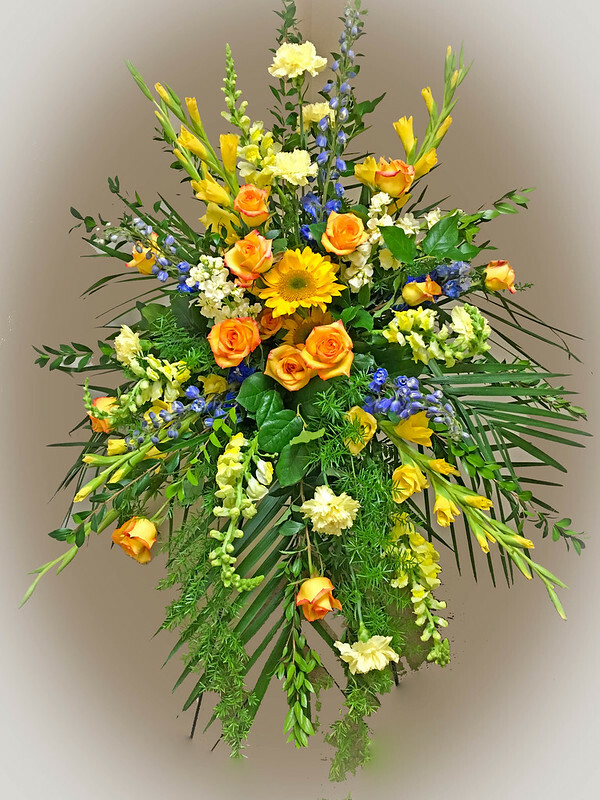 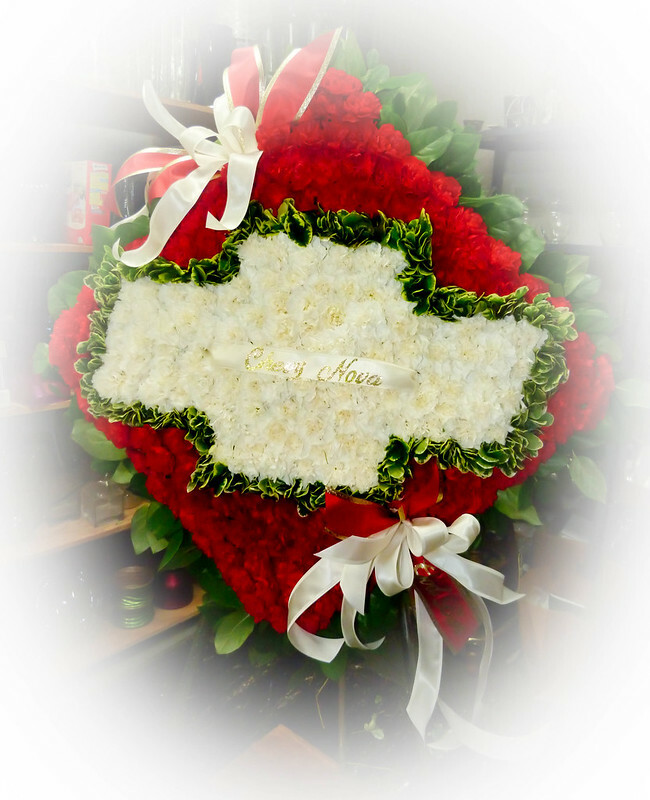 We are available to create and deliver a funeral arrangement promptly and with care to any cemetery, funeral service, home, or office. 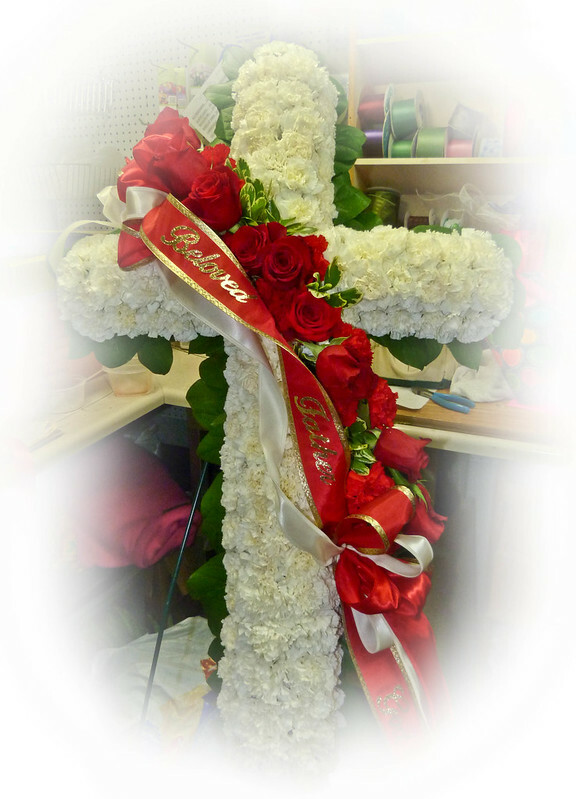 Let Floral Expressions take care of all of your floral needs during this difficult time.